Apricot Update September 6, 2018 — Pacific Atlantic Crop Exchange, Inc.
· Exports in August were 7,546 tons, compared to 8,547 tons last year. · Average export price for whole apricots for August was $2988/ton FOB compared to $2,986 in July. Lower $ prices as a result of the devaluation have fueled significant demand, prices are at an 11 year low, despite supply being no more than last year. 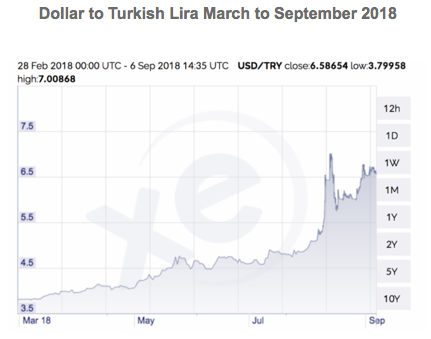 As happened in the 1990's in Turkey, producers of export commodities have started to look to increase prices in line with the fall in the Lira to offset the rising cost of input materials and living expenses. The majority of farmers who needed cash have now sold, and prices have started to firm in Malatya. As supply of quality material dwindles as it did last year during the autumn we expect a similar pattern of firming prices. We think we have seen the bottom of the market this year. We look forward to receiving your enquiries for 2018 crop.